The root cause of electromagnetic compatibility is the existence of electromagnetic interference. Electromagnetic Interference (EMI) is the process by which destructive electromagnetic energy is transmitted from one electronic device to another through radiation or conduction. In general, EMI refers to radio frequency signals (RF), but electromagnetic interference can occur in all frequency ranges. Electromagnetic Compatibility (EMC) means that electrical and electronic systems, equipment and devices operate in a defined electromagnetic environment at a specified level or performance within specified safety limits without damage due to electromagnetic interference. Or the ability to degrade performance is not acceptable. The electromagnetic environment referred to herein refers to the sum of all electromagnetic phenomena existing in a given place. This indicates that electromagnetic compatibility means that the electronic product should have the ability to suppress external electromagnetic interference; on the other hand, the electromagnetic interference generated by the electronic product should be below the limit and must not affect the normal operation of other electronic devices in the same electromagnetic environment. As the sensitivity of electronic devices is getting higher and higher, and the ability to accept weak signals is getting stronger, the frequency bands of electronic products are becoming wider and wider, the size is getting smaller and smaller, and the anti-interference ability of electronic devices is becoming stronger. The electromagnetic waves generated by some electrical and electronic equipments can easily cause electromagnetic interference to other electrical and electronic equipment around them, causing malfunctions or affecting the transmission of signals. In addition, excessive electromagnetic interference can cause electromagnetic pollution, endangering people's health and destroying the ecological environment. If the various electrical devices in a system can work normally without electromagnetic interference with each other, resulting in performance changes and equipment damage, it is said that the electrical devices in this system are compatible with each other. However, as the functions of the devices are diversified, the structure is complicated, the power is increased, and the frequency is increased, and their sensitivity is also getting higher and higher, this compatible state is increasingly difficult to obtain. In order to achieve electromagnetic compatibility of the system, it is necessary to use the electromagnetic environment of the system as the basis, and it is required that each electrical equipment does not generate electromagnetic emissions exceeding a certain limit, and at the same time requires itself to have certain anti-interference ability. Only by constraining and improving these two aspects of each device can the system be fully compatible. It is generally believed that there are two ways to transmit electromagnetic interference: one is the conduction mode; the other is the radiation mode. In actual engineering, interference between two devices usually involves coupling of many ways. It is precisely because the coupling of multiple ways exists at the same time, repeatedly crossing and jointly generating interference, making electromagnetic interference difficult to control. (1) Radio frequency interference. Due to the proliferation of existing radio transmitters, radio frequency interference poses a great threat to electronic systems. Cellular phones, handheld radios, radio remote units, pagers and other similar devices are now very common. Harmful interference does not require significant power generation. Typical faults occur in the RF field strength range of 1 to 10 V/m. In Europe, North America and many Asian countries, avoiding RF interference to damage other equipment has become a legally binding requirement for all products. (2) Electrostatic discharge (ESD). Modern chip technology has made great progress, and components have become very dense at very small geometries (0.18 um). These high-speed, multi-million transistor microprocessors are highly sensitive and can be easily damaged by external electrostatic discharges. The discharge can be caused by direct or radiative means. Direct contact discharge generally causes permanent damage to the device. Electrostatic discharge caused by radiation may cause equipment to malfunction and work abnormally. (3) Power interference. As more and more electronic devices are connected to the power backbone, there are some potential interferences in the system. These disturbances include power line disturbances, electrical fast transients, surges, voltage changes, lightning transients, and power line harmonics. For high frequency switching power supplies, these disturbances become significant. (4) Self-compatibility. A digital portion or circuit of a system can interfere with an analog device, creating a crosstalk between the wires, or a motor can cause turbulence in the digital circuit. In addition, an electronic product that can work normally at low frequencies encounters problems that are not found in low frequencies when the frequency is increased. Such as reflection, string winding, ground bomb, high frequency noise and so on. An electronic product that does not comply with EMC regulations is not a qualified electronic design. In addition to meeting market functional requirements, design products must also employ appropriate design techniques to prevent or mitigate the effects of EMI. For high-speed PCB (Printed Circuit Board) design EMI problems, there are usually two ways to solve: one is to suppress the impact of EMI, the other is to shield the impact of EMI. There are many different manifestations of these two methods, especially the shielding system that minimizes the possibility of EMI affecting electronic products. Radio frequency (RF) energy is generated by switching currents in a printed circuit board (PCB) that are a by-product of digital components. Each change in logic state in a power distribution system produces an instantaneous surge. In most cases, these changes in logic state do not produce enough ground noise voltage to cause any functional effects, but when a component When the edge rate (rise time and fall time) becomes quite fast, enough RF energy is generated to affect the normal operation of other electronic components. (1) The packaging measures are not used properly. Devices that should be packaged in metal are packaged in plastic. (2) The PCB design is not good, the quality of the completion is not high, and the grounding of the cable and the connector is poor. (3) Inappropriate or even incorrect PCB layout. Including improper setting of clock and periodic signal traces; improper layout of PCB and improper setting of signal wiring layer; improper selection of components with high frequency RF energy distribution; insufficient consideration of common mode and differential mode filtering; ground loop caused RF And ground bounce; insufficient bypass and decoupling, etc. To achieve system-level EMI suppression, some appropriate methods are usually required: this mainly includes shielding, padding, grounding, filtering, decoupling, proper wiring, and circuit impedance control. Today's electronics industry has increasingly noticed the need for SE/EMC (Shielding Effectiveness, SE, isolation room shielding benefits), and with the use of more electronic components, electromagnetic compatibility is also more concerned. Electromagnetic shielding is a method of controlling electromagnetic interference from one region to another by means of metal isolation. There are usually two types: one is electrostatic shielding, which is mainly used to prevent the influence of electrostatic field and constant magnetic field; the other is electromagnetic shielding, which is mainly used to prevent the effects of alternating electric field, alternating magnetic field and alternating electromagnetic field. EMI shielding makes the product simple and effective in compliance with EMC specifications. When the frequency is below 10MHz, the electromagnetic wave is mostly in the form of conduction, while the higher frequency electromagnetic wave is mostly in the form of radiation. The design can be EMI shielding with a new material such as single-layer solid shielding material, multi-layer solid shielding material, double shielding or double shielding. For low-frequency electromagnetic interference, a thick shielding layer is required. It is most suitable to use a material with high magnetic permeability or a magnetic material such as nickel-copper alloy to obtain maximum electromagnetic absorption loss, and metal shielding for high-frequency electromagnetic waves. material. In actual EMI shielding, the effectiveness of electromagnetic shielding depends largely on the physical structure of the chassis, ie the continuity of conduction. The seams and openings in the chassis are sources of electromagnetic wave leakage. Moreover, the cable passing through the chassis is also the main reason for the drop in shielding effectiveness. The electromagnetic leakage from the opening in the chassis is related to the shape of the opening, the characteristics of the source, and the distance from the source to the opening. The shielding effectiveness can be improved by appropriately designing the opening size and the distance from the radiation source to the opening. The usual way to solve electromagnetic leakage in the gap of the chassis is to use an electromagnetic sealing gasket at the gap. The electromagnetic sealing gasket is an electrically conductive, resilient material that maintains electrical continuity at the gap. Common electromagnetic sealing gaskets are: conductive rubber (incorporating conductive particles into rubber, making this composite both rubbery and metallic). Double conductive rubber (it is not blended in all parts of rubber) Into the conductive particles, the benefits obtained are to maintain the elasticity of the rubber to the utmost, and to ensure the electrical conductivity), metal woven mesh sleeve (metal woven mesh sleeve with rubber core), spiral tube gasket (with stainless steel, Copper or tinned bismuth copper coiled spiral tube). In addition, when the ventilation requirement is relatively high, it is necessary to use a waveguide ventilating plate, which is equivalent to a high-pass filter, and does not attenuate electromagnetic waves above a certain frequency, but for electromagnetic waves below this frequency A large attenuation is achieved, and the proper application of the characteristics of the waveguide can well shield the interference of EMI. With the large-scale improvement of system design complexity and integration, electronic system designers are working on circuit design above 100MHZ. The bus operating frequency has reached or exceeded 50MHZ, and some even exceed 100MHZ. When the system is operating at 50MHz, transmission line effects and signal integrity issues will occur; when the system clock reaches 120MHz, PCBs based on traditional methods will not work unless high speed circuit design knowledge is used. 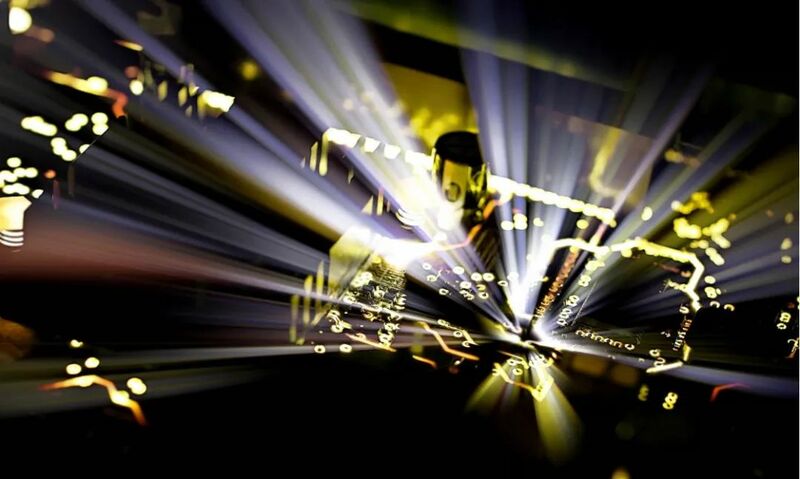 Therefore, high-speed circuit design technology has become a design tool that electronic system designers must adopt. The controllability of the design process can only be achieved by using the design techniques of high-speed circuit designers. It is generally considered that if the frequency of the digital logic circuit reaches or exceeds 45 MHz to 50 MHz, and the circuit operating above this frequency already accounts for a certain amount (for example, 1/3) of the entire electronic system, it is called a high speed circuit. In fact, the harmonic frequency of the signal edge is higher than the frequency of the signal itself, and the rising edge and falling edge of the signal (or the transition of the signal) cause unintended consequences of signal transmission. 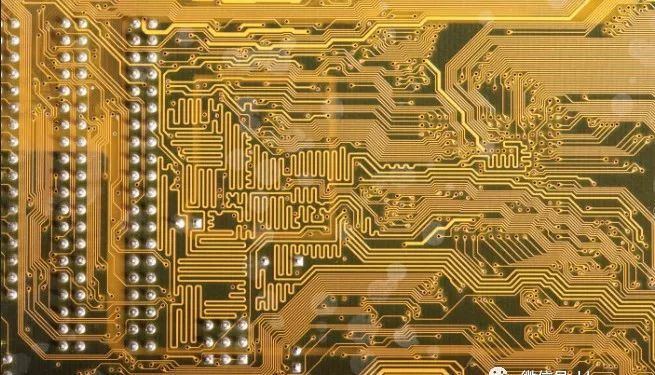 To achieve EMC-compliant high-frequency PCB design, the following technologies are usually required: bypass and decoupling, grounding control, transmission line control, and trace termination matching. Decoupling refers to the removal of RF energy from high frequency devices into the distribution network during device switching, while bypassing transfers unwanted common mode RF energy from components or cables. All capacitors are made up of LCR circuits, where L is the inductance, which is related to the length of the wire, R is the resistance in the wire, and C is the capacitance. At a certain frequency, the LC series combination will produce resonance. In the resonant state, the LCR circuit will have very little impedance and effective RF bypass. When the frequency is higher than the self-resonance of the capacitor, the capacitor gradually changes to an inductive impedance, while the bypass or debounce effect is reduced. Therefore, the effect of bypass and decoupling of the capacitor is affected by the length of the lead, as well as the traces between the capacitor and the device, the dielectric filler, and the like. An ideal decoupling capacitor can also provide all of the current required to switch state of the logic device. In fact, the impedance between the power supply and the ground plane determines how much current the capacitor can supply. When bypass and decoupling capacitors are selected, the self-resonant frequency of the desired capacitor can be calculated from the logic family and the clock speed used, and the capacitance value can be selected based on the frequency and the capacitive reactance in the circuit. In choosing the package size, the capacitance of the lower lead inductor is chosen as much as possible, which is usually expressed as an SMT (Surface Mount Technology) capacitor instead of a through-hole capacitor (such as a capacitor in a DIP package). In addition, parallel decoupling capacitors are often used in product design to provide a larger operating band and reduce ground imbalance. In a shunt capacitor system, when it is higher than the self-resonant frequency, the large capacitance exhibits an inductive impedance and increases with increasing frequency; while the small capacitance exhibits a capacitive impedance and decreases with increasing frequency, and at this time the entire capacitive circuit The impedance is smaller than the impedance of a single capacitor. Most electronic products require grounding. Grounding is an important method to minimize noise interference and divide the circuit. Grounding is primarily a function of providing a reference connection between the analog and digital circuits and providing a high frequency connection between the ground plane of the PCB and the metal casing. PCBs often contain dangerous voltages. It is included in power components, communication circuits, delay-driven instrumentation controls, power switching modules, and the like. To comply with safety regulations and comply with electromagnetic compatibility, these dangerous voltages must be removed. The usual strategy is to use a ground or ground plane system. The ground (or ground plane) is essentially a low impedance path to the signal return source. Due to this effect of the ground line, a large current may exist in the ground line. Since the impedance of the ground line is not zero, this current creates a potential difference. When there is a potential difference in the local line, the impact on the system is obvious: the ground potential difference can cause the circuit to malfunction, making the system work abnormally. Due to the ground potential difference in the grounding system, the grounding method must be selected for the characteristics of the PCB during the grounding process of the design product, and cannot be used at will. Commonly used grounding methods include single-point grounding, multi-point grounding, hybrid grounding, and so on. Single-point grounding means that in the product design, the grounding line is connected to a single reference point. This grounding is designed to prevent current and RF currents from subsystems from two different reference levels from passing through the same return path. Lead to common impedance coupling. This grounding method is suitable for use in low frequency PCBs and can reduce the effects of distributed transmission impedance. However, in high-frequency PCBs, the inductance of the return path becomes a major part of the line impedance at high frequencies, so in order to minimize the grounding impedance in high-frequency PCBs, a multi-point grounding method is usually used. The most important point in multi-point grounding is that the length of the ground lead is required to be the smallest, because longer leads represent a larger inductance, which increases the ground impedance and causes a ground potential difference. The hybrid ground structure is a composite of single-point grounding and multi-point grounding. This structure is commonly used when there are high and low mixing frequencies in the PCB, that is, single point grounding at low frequencies and multi-point grounding at high frequencies. Figure 1 below is a capacitively coupled hybrid ground. In the corresponding inductively coupled hybrid grounding model, C1 to C3 can be changed to suitable inductors. A transmission line is a transmission system suitable for efficiently transmitting electrical power or electrical signals between two or more terminals, such as metal wires, waveguides, coaxial cables, and PCB traces. If the transmission line terminals do not match, or if the signal is transmitted on a PCB trace with discontinuous impedance, the circuit will have functional problems and EMI interference, including voltage drop, oscillation due to shock excitation, and so on. In handling the transmission line effect, the line impedance affects the final performance of the product. If and only if the load terminated by the circuit is equal to the characteristic impedance of the line, the signal transmitted on the PCB trace will be completely absorbed far enough. There is no reflection. If the terminals do not match, most of the signals will be reflected back, and it will easily cause overshoot or undershoot of the circuit or even circuit oscillation. Where Vr is the terminal voltage, Vi is the initial voltage, Rt is the terminal impedance, Z0 is the characteristic impedance of the line, and ρ is the reflectivity. When Rt=Z0, the reflectivity is 0, that is, there is no reflection, the voltage remains unchanged; when Rt is infinite, that is, the terminal is open, at this time the reflectivity is 1, the voltage is 100% reflected, and the voltage at this time is the original voltage worth two Double; if Rt=0, that is, the terminal is short-circuited and the reflectivity is -1, the total voltage is zero. It can be seen that the larger the mismatch, the larger the reflected voltage, and if the transmission line does not match at both ends, circuit oscillation will occur. For transmission line effects, it is common to control the length of the trace and adjust the trace width to change the tailored impedance to suppress the transmission line effect. For example: If the design is CMOS or TTL circuit, the working frequency is less than 10MHz, and the wiring length should be no more than 7.5 inches. The working frequency should be no more than 2 inches in length at 50MHz. If the operating frequency reaches or exceeds 75MHz, the wiring length should be 1.5 inches. The maximum wiring length for GaAs chips should be 0.3 inches. If this standard is exceeded, there is a problem with the transmission line. Another way to solve the transmission line effect is to choose the correct routing path and terminal topology. The topology of the trace refers to the wiring sequence and wiring structure of the circuit cable. When using high-speed logic devices, the fast-changing edge of the signal will be distorted by the branch traces on the signal trunk trace unless the trace branch length is kept short. Typically, PCB traces use two basic topologies, the Daisy Chain routing and the Star distribution. When different impedances are required, the easiest way is to change the line width. In PCB design, the power system (including relatively high power at relatively low potential) can cause two problems: one is power (or high) noise, that is, in the digital circuit system, CPU circuit, dynamic memory device and others The digital logic circuit changes the logic state at high speed during the working process, causing noise caused by system current and voltage changes, DC noise when the temperature changes, and noise generated by the power supply itself. The other is ground (or low) noise, that is, a potential difference between the ground of each part of the system or ground noise due to the presence of ground impedance. Power supply voltage fluctuations and ground level fluctuations on the PCB easily cause spikes or fading oscillations in the signal waveform, causing noise tolerance of the digital IC circuit, which in turn causes malfunction. The main reason is the switching current of the digital IC and the voltage drop caused by the power line and the resistance of the ground line, and the induced voltage drop caused by the distributed inductance of the component pins. The effect of the voltage drop caused by the distributed inductance is greater than the line impedance, which is an aspect that must be considered in the design. When the CMOS part of the PCB is a digital-analog hybrid circuit, such as D/A conversion, when the digital part is connected to the power supply VDD, the power of VDD is coupled to the analog part, and part of the VDD voltage appears on the pin of the analog power supply, for the whole system. Performance is greatly disrupted and even the system does not work. For the above reasons, the power supply wiring on the PCB should be as large as possible according to the current, in order to reduce the loop impedance. Use a power plane and a ground plane in a multilayer PCB while reducing the line length of the power line to the power plane or ground plane. In addition, the direction of the power and ground lines should be consistent with the direction of the data line or address line, which can reduce interference and enhance the system's anti-noise capability. With the development of electronic technology, the system clock and speed continue to increase. Clock operating frequencies in today's computer systems often reach upper GHz. When the component operates at high frequencies, the signal jump rate is accelerated to accommodate smaller clock intervals, so the RF spectrum is more dispersed, and the possibility of EMI interference increases. It is more difficult to design EMC-compliant products. However, the corresponding design can always be found according to the characteristics of the product and the frequency characteristics.